Oregon Beachcomber Blog - What's washing up? : Two Boats: More Possible Debris? Two Boats: More Possible Debris? Another piece of large debris has washed up near Coos Bay, Oregon. 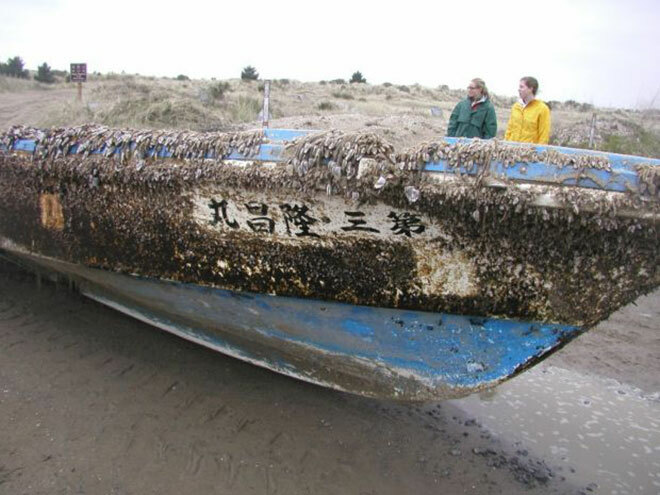 It is yet another boat, with writing on it that could pinpoint its port of origin. It is yet to be determined whether this is tsunami debris or not- more soon! Thanks to my ever-diligent debris source for this.